T he next week, Tip and his wife went to the hospital every day and prayed for her, and it did not seemed like she got any better. On New Year's Eve and New Year's Day, they did not go to the hospital, but when they arrived at the hospital on the second of January something had happened. 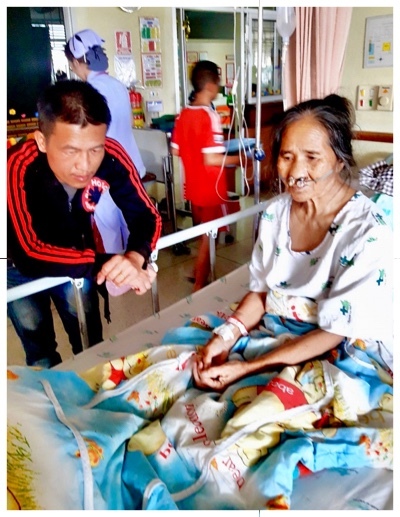 They were told that she had suddenly been much better and she was sent home. We visited her two days later, and it was quite clear that something had happened. She talked to us as usual again, she had no blood from her nose and her appetite had returned, but she was still a bit weak. 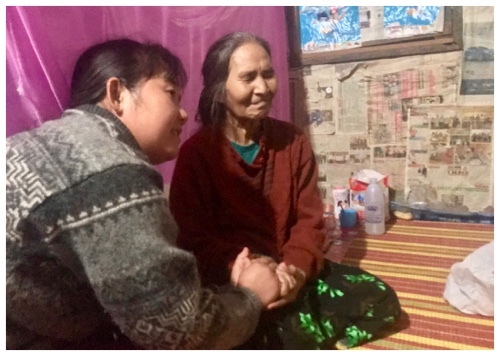 The daughter who lives in another city was also there when we visited her and she was very interested in hearing more about God. Now, a month later, she is completely healed and she is herself again. We go and visit her every Thursday now. Several Shan People Received the Greatest Gift! D uring Christmas we had three Christmas parties, the biggest one was on December 23rd. 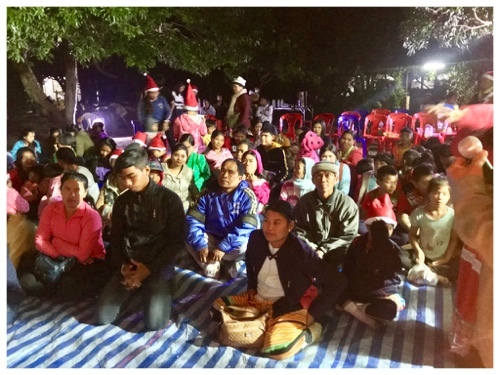 I have participated in many Christmas parties with the Shan people in the fourteen years I've been among them, but I think this was the best I've been to. In the morning we had games for the kids, there were about 50 of them. In the evening we also gathered adults, and there were at least over a hundred that came. We had good help from two families who came from Chiang Mai and one couple from a town called Mea Ai. We had a varied program with worship, shan dance, testimony, giving gifts and explanation of the Christmas message. We felt it was a good atmosphere there and they were very interested in the program, especially when we shared the Christmas message. When we asked if someone wanted to be prayed for and to receive the greatest gift, some came forward and we we prayed for more than 10 people. I've made a short 8 minutes video of the Christmas parties. You can watch it under.